Has Delaware seen enough of the shallow, out of nowhere candidates? Have we had enough of the empty rhetoric spuming people who if actually elected would bring nothing to an office beyond an illusion of patriotism? Personally as I have matured, both as a person, and as someone who is interested in politics, I have come to realize what a detriment these types of candidates are, to both the process of electing our leaders, and to the citizens they presume to lead. When we have these types of candidates running around talking about little more than sound-bite politics, the people of the county, state and nation, are deprived of real discussions about serious issues facing the people of this land. Does every citizen have a right to run for elected office? Of course they do. Can anyone be elected to office? Again, of course they can. The question is, should everyone run for office? Of course not, nor should some people be elected to office. The argument can be made that our current president did not have the experience to hold the highest office of this nation, and many will argue that he should never have been elected. But if we look back to President Obama’s first campaign, we see a campaign heavy on the rhetoric, and lite on the substance. All of which has brought us to some bad decision-making in my opinion. We need only look right here in Delaware to find the very same kind of candidates, both on the left and the right, and somewhere in between. Candidates that simply take it in their minds to run for office, or some who are just simple-minded. These candidates have no idea what it takes to run a campaign, and less of an idea of what will be expected of them if they were to somehow actually be elected. They have either been caught up in the grass-roots fever of the TEA movement, or have been seduced into thinking they have what it takes, by others desperate to build a third-party. Some are puppets on a string, and others are just off the chain. Some will say, that it is this type of citizen government that has made this nation the greatest and freest nation in the history of the world. To some extent this is true, however, the Founding Fathers were serious men, many did not seek office, but were left no choice by events, but to serve. This being said, can anyone argue that our Founders were not serious and intelligent men? That they were seeking nothing more than simple self glory and power? Today we see far too many candidates that want only to have a title before their names, and it matters little what the title is. These people will run for any office that opens before them. Be it a council seat, or governor. They bring nothing to the table beyond the desire to be elected. No ideas beyond regurgitated, deficient, bunkum. And they will run again and again and again. The people are not served well by this type of candidate. Too many times this type of candidate will do nothing more than run a primary, that does nothing more than impairs a serious candidate’s ability to run in a general election and win. Too often we hear from these types of candidates that the fight is more important than winning the battle. This is almost always heard from a losing candidate that had no chance of winning. And it is amazing what their definition of a close race is. In their view, a 20/80 loss is a close race. Because these shallow candidates have no background, and no substance to run on, they rely on tactics of deflection and chaos. They can’t give ideas on the simplest issues, so they become the victim. When challenged to back up some shallow, rhetorical statement with facts, they accuse their challenger of attacking them unfairly. They will cry foul and refuse to answer the questions based on their perception that they have been attacked. You will recognize these shallow candidates by the way they fail to defend their positions. What this leads to is a confused electorate. When an election is muddied by these types of candidates, then serious candidates are forced in many cases to respond to the most outrageous statements, and in some cases accusations. These shallow candidates have no chance of running on real ideas, because they have none, so they are left to hurl the political equivalent of meadow muffins at their opponents. And in so doing they derail all conversations away from finding solutions to our problems. The citizens are left at the end of these campaigns to base their votes, not on who is best qualified to serve the people, but on who was best at damage control, and who was best at deflecting and avoiding the questions of real importance. So yes, I feel that Delaware, and the nation, have had enough of these shallow candidates. We need candidates, and elected officials who have real experience, who see community service as being more than just being in church every Sunday. People who have worked to build on the legacy left to us by our Founders, and not to simply stand upon the shoulders of giants. We need candidates that can articulate real solutions to our problems beyond tough talk and rhetoric. We need candidates that understand that to serve the people, they must first hear the people. We need candidates that bring more to the political table, than the simple-minded desire to have a title before their names. It will, as always, be up to the voters to weed out these shallow candidates, to see them for what they truly are, shallow, power seeking, addlepated, merry-andrew. Unfortunately ours is not always the most informed electorate, and far too many times, our voters are taken in by these carny sideshow hucksters. It will be up to the more serious candidates and their supporters to not allow these shallow bottom feeders, to deflect and distract the voters. It will not be easy, but it often take little more than a public display of their tempers and their total lack of knowledge to open the eyes of the voters. 8 Comments on "Shallow Candidates"
Finally a post about Lacy Lafferty! Anon, this post is not about anyone in particular. There are plenty of these shallow candidates out there. I will leave it to the readers such as yourself to put a face on those they feel are shallow candidates. I think this is bear baiting, but you can not leave ” the director of special operations ” off the list. The point is that anybody can show up during election season and spout out what they think the voters want to hear. I think it’s a matter of simple gullibility. People have fallen for this type of salesmanship for ages. It’s in good people’s nature to trust their fellow man. In the end their character will influence their vote, and if they are just in the job for personal gain and self promotion, then it will be a toss up as to how they will vote on the issues? Your comments are spot on for the those in the official government. The real government is something else. 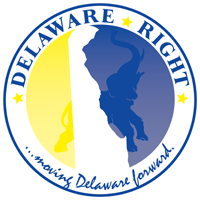 Don’t look to the Delaware GOP for any hope, they care very little bout policy or solutions only cronyism. The Democrats? They have run the state in to the ditch and they laugh every day at the fools who vote for them.